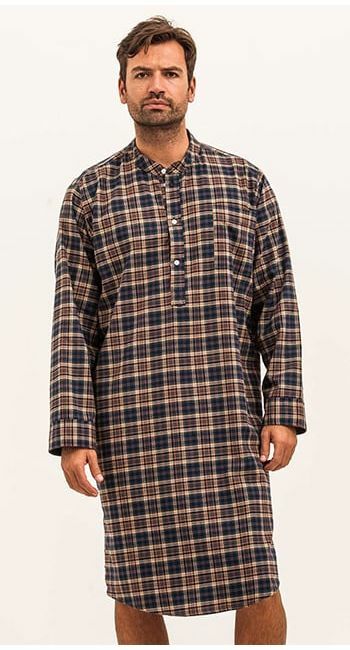 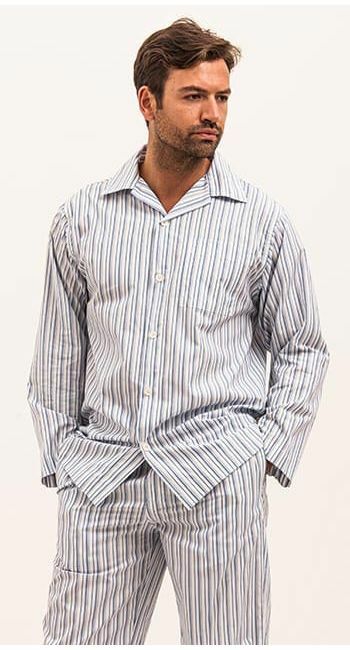 This brushed cotton men's nightshirt comes in a vintage blue stripe. 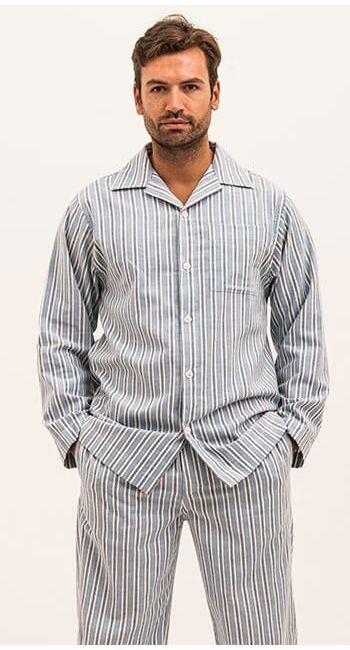 Generously cut with a stylish mandarin collar and features a gently scooped hem with a side split to allow ease of movement. 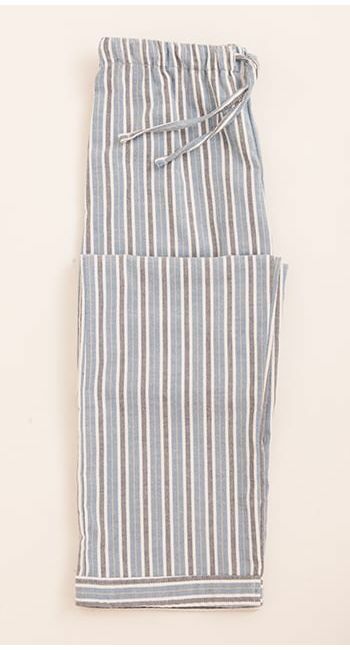 Finished with a breast pocket, turn ups on the cuffs and real shell buttons. 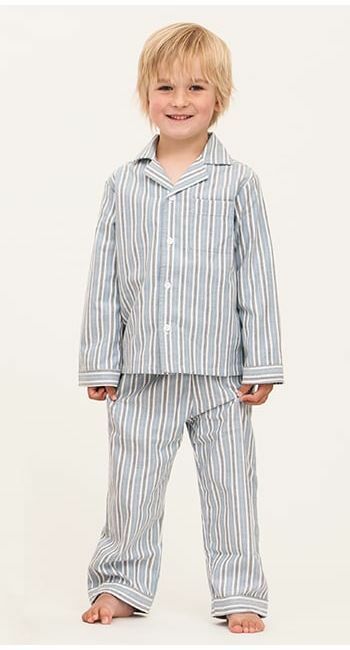 Pyjamas available in the same fabric, as well as matching boy's pyjamas if you're looking for matching father and son nightwear.